Yup, it's pretty much a party drink. Fireball Cinnamon Whisky is a mixture of whisky, cinnamon flavoring and sweeteners.. The product originates from the cold depths of Canada in the mid-1980s, and for a long time was little known outside of Canada until recently. It is bottled at 33% abv and so sweet that American college frat boys chug this straight from the bottle. And now, it is available in this part of the world. 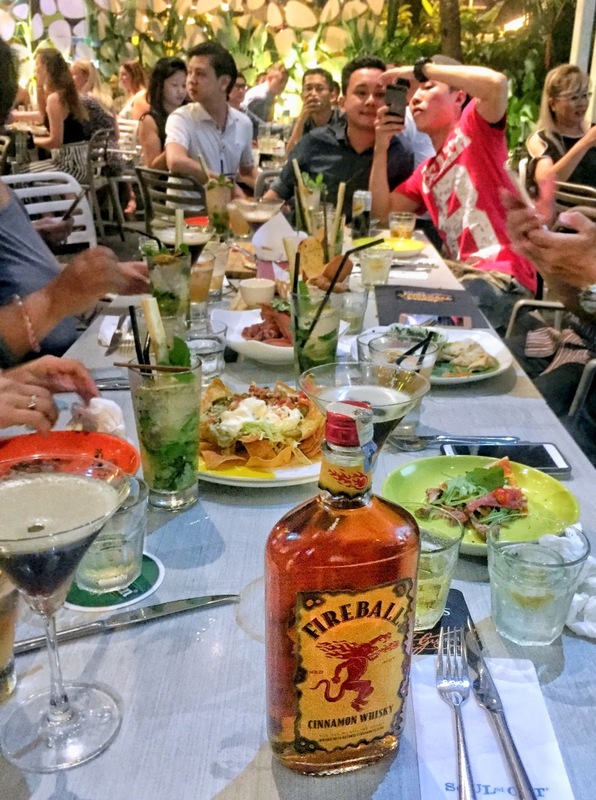 If you're wondering how to get yourself a taste of this, wonder no more as Souled Out Desa Hartamas recently launched its Funky Fireball Friday. What this means is that every Fridays, there will be Fireball whisky cocktails. Of course, what's a Funky Fireball Friday without Fireball bottle and shots promotions? Go get it. Get your happy on with the Fireball Mojito, Fireball Citrus and Fireball Espressotini. The Funky Fireball Friday at Souled Out will run until 10th Nov 2017. So, the next time you have a party where shots and 5 second pours are in your agenda, try it with the Fireball. It's easy to chug because it's sweet and would probably hurt you less than tequila, gin or regular whisky. Win!